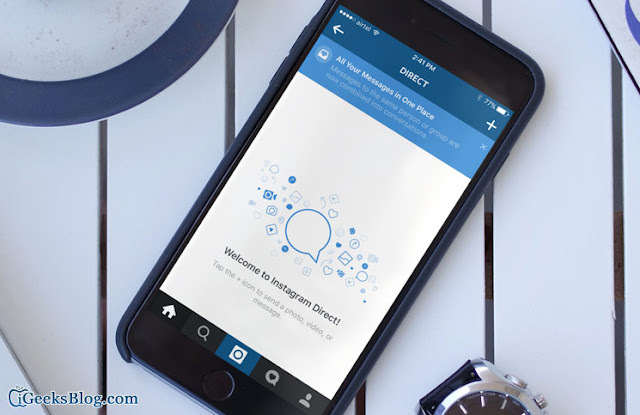 Have you ever used Instagram for messaging? I didn't think so. Despite most of the discussion on the platform emanating from photo comments, it does actually feature a surprisingly robust messaging service - Instagram Direct. Direct is the hub for two separate kinds of messaging - ephemeral and permanent, and until now, they both lived on different parts of the screen. Now, though, a key change has been made. Rather than ephemeral messages staying confined to their own domain, users can now post ephemeral messages within permanent chat threads. Simply put, if you're talking to someone and you want to post one of Instagram's vanishing picture messages without exiting the screen, you can. This also means that the Stories bar has been removed from Instagram Direct, which means that there's at least one place on a Facebook-owned platform where you don't have to put up with it looming over you constantly. It seems like Facebook have realised that a more simplified messaging system was appropriate for Instagram. According to Facebook, Instagram Direct is actually considerably more popular than it appears to be. They report that the service now has 375 million monthly users, which is more than 50% of the total monthly active figure for the platform. One more change has been made - the 'New Message' button has been replaced with a big, round camera/video recording prompt. This suggests that Instagram are still trying to nudge people more towards photo and video messaging, rather than text. If they're focusing on that, it shows that, at least on the Instagram front, their mission to replicate Snapchat's success is actually working, and working rather well. Snapchat haven't had much to worry about from Messenger Day or Facebook Stories, but their stock actually went down 2.79% when Direct was announced, and this new improvement won't help. Of the 3 platforms, Instagram shares the most DNA with Snapchat, and it's the more direct competitor to it. We may well see yet another spike in user engagement for the service following this news.